The map lays out OPEC’s nightmare in graphic form. “The Permian will continue to grow and OPEC needs to learn to live with it,’’ said Mike Loya, the top executive in the Americas for Vitol Group, the world’s largest independent oil-trading house. Even so, Saudi Arabia’s output swelled to a record this month, according to industry executives. That means the three biggest producers -- the U.S., Russia and Saudi Arabia -- are pumping at or near record levels. A similar scenario unfurled in 2016, when Saudi output rocketed just before OPEC agreed to cuts. This time the cartel’s 15 members, and allies including Russia, Mexico and Kazakhstan, will discuss the possibility of their second retreat from booming American production in three years. Now growth is speeding up. In Houston, the U.S. oil capital, shale executives are trying out different superlatives to describe what’s coming. “Tsunami,’’ they call it. A “flooding of Biblical proportions’’ and “onslaught of supply’’ are phrases that get tossed around. Take the hyperbolic industry talk with a pinch of salt, but certainly the American oil industry, particularly in the Permian, has raised a buzz loud enough to keep OPEC awake. That shift makes shale resilient to a price tumble. After touching a four-year high in October, West Texas Intermediate, the U.S. benchmark, has fallen by more than 20 percent. Only a few months ago, the consensus was that the Permian and U.S. oil production more widely was going to hit a plateau this past summer. It would flat-line through the rest of this year and 2019 due to pipeline constraints, only to start growing again -- perhaps -- in early 2020. The growth was possible because oil traders decided not to be stymied by the dearth of pipelines. They used rail cars and even trucks to ship barrels out of the region. But pipeline companies unexpectedly increased capacity, in part because they added chemicals known as “drag reduction agents’’ to increase flow. A new pipeline came online earlier than anticipated, and with three more expected between August and December next year, production is poised to soar. 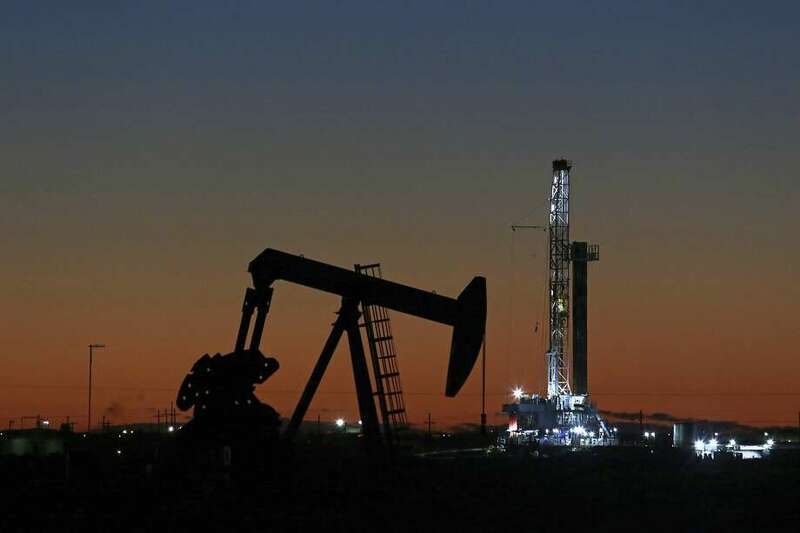 Knowing that more transportation would be available next year, Permian companies are drilling wells but, for now, aren’t fracking many of them. Those wells are becoming a reservoir of ready-to-tap production once the new pipelines -- Gray Oak, Cactus II and Epic -- come online. By the end of 2019, total U.S. oil production -- including so-called natural gas liquids used in the petrochemical industry -- is expected to rise to 17.4 million barrels a day, according to the U.S. Energy Information Administration. At that level, American net imports of petroleum will fall in December 2019 to 320,000 barrels a day, the lowest since 1949, when Harry Truman was in the White House. In the oil-trading community, the expectation is that, perhaps for just a single week, the U.S. will become a net oil exporter, something that hasn’t happened for nearly 75 years. Saudi officials concede that the tsunami is coming. OPEC estimates that to balance the market and avoid an increase in oil inventories, it needs to pump about 31.5 million barrels a day next year, or about 1.4 million barrels a day less than what it did in October. Global oil demand has so far absorbed the extra U.S. crude barrels, limiting the impact on prices. The loss of output from Venezuela and to a lesser extent, Iran, even allowed Saudi Arabia, Russia and a few others to boost production. But for the cartel, U.S. shale remains as intractable as in the past.